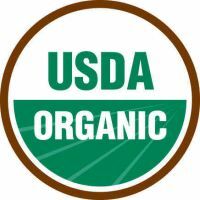 We are a USDA certified organic farm and we are a soy free farm. We raise chickens and ducks for eggs and meat. Our chickens and ducks are fed a USDA certified organic mix of real grains without soy. They roam freely on pasture, bugs, grass and sunshine is part of their diet. We do NOT medicate nor use any type of chemicals. Our eggs are hand wash and we do NOT spray them with mineral oil. Everything is produced right here at the farm, in our commercial kitchen, we only use fresh ingredients that we either grow or buy from small local growers. We do NOT use prepackaged ingredients. NO pectin/citric acid/ascorbic acid/fillers/coloring etc etc ..
We either grow the fruits or buy from small local growers. No pectin, No citric acid, No ascorbic acid. Just fresh fruits and certified organic evaporated cane juice. Blueberry – Peach – Fig - 3 Agrumes - Pear / Calamondine - Mandarine – Strawberry - Fig / Strawberry - Pear Butter - Golden Plum - Strawberry / Rhubarb - Strawberry / Pinot Noir - Fig / Chocolate - Blueberry Butter, . Just raw organic cacao powder and evaporated cane juice, No soy, No fillers, No whatever .... Hot chocolate the swiss way. Chicken broth made at the farm with our own certified organic chickens. Price subject to change without notice - seasonal products may not be available.